Vehicle Service Contracts in the USA: Market Dynamics, Affinities and Partnerships is a report, based in part on a survey of 130 vehicle dealerships and 40 vehicle manufacturer brands, investigating the market for service contracts (including extended warranties and mechanical breakdown insurance) for new and used vehicles in the US. 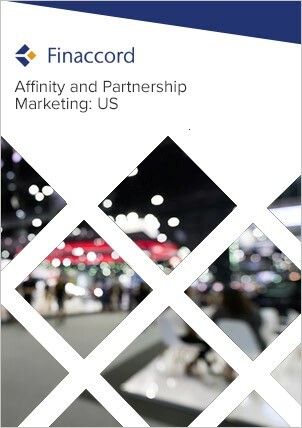 Key features include: an outline of market drivers and the value, growth and segmentation of the market from 2014 to 2018; quantification and commentary concerning the segmentation of policies in force by distribution channels used to buy them in 2018; estimates for provider market shares in 2018; a comprehensive listing of over 50 affinity and partnership marketing relationships visible at the time of the research in 2018 for these types of contract, including ones employing 'insurtech' with the aim of disrupting incumbent competitors; and forecasts for the value of the market up to 2022. In this report, vehicle service contracts are defined throughout as as any extension to the manufacturer’s automatic factory warranty that is paid for separately by the customer. In most cases, manufacturers’ factory warranties are for between two and three years on the main mechanical parts of a passenger vehicle albeit some manufacturers have lengthened these to four, five, six or even seven years as a part of their marketing program. However, note that the figures about vehicle service contracts in this report do not include 'free' service contracts that are sometimes bundled with sales of used vehicles for a limited period of time and at no explicit additional cost to the customer. Furthermore, note also that Finaccord’s study only covers vehicle service contracts bought for light vehicles (comprising passenger cars, SUVs, pick-up trucks and vans) acquired by individuals, including self-employed individuals. Thus, vehicle service contracts acquired by corporate buyers of light vehicles, including fleets, are not included and cover acquired by any buyers of other vehicle types (e.g. HGVs, motor cycles) is also out of scope.